Is Martin Walsh Boston’s 48th, 54th, or 58th mayor? 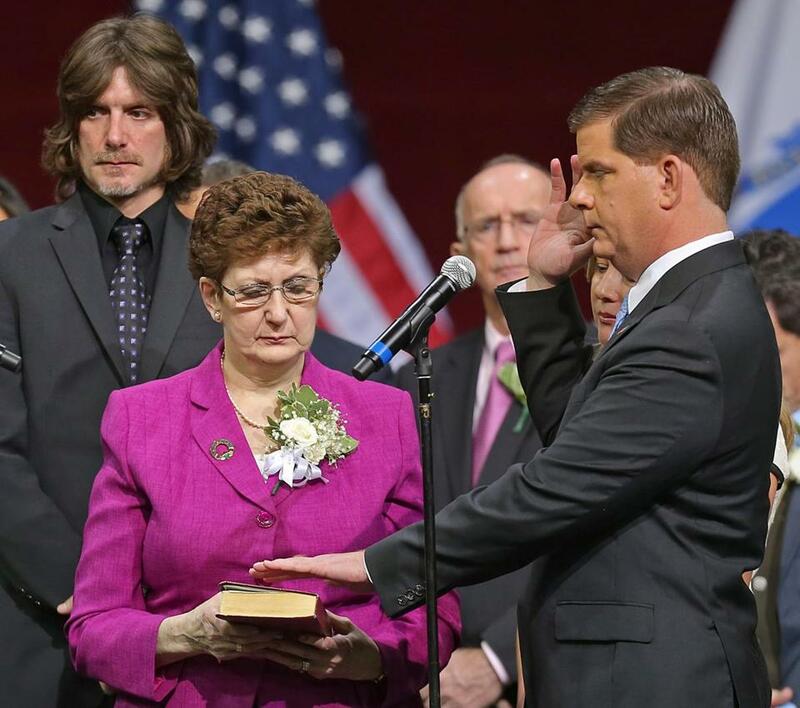 Martin Walsh was sworn in as Boston’s mayor on Monday. The inaugural program makes it perfectly clear: Martin Joseph Walsh took the oath of office Monday as Boston’s 54th mayor. But two decades ago, when Mayor Thomas M. Menino first raised his right hand, he was introduced as the city’s 47th mayor. That would make Walsh the 48th mayor, right? It gets more complicated: An argument could also be made that Walsh is Boston’s 58th mayor. It turns out there is more than one way to count mayors. The City of Boston Archives considered Menino the 47th mayor because he was the 47th person to hold the job, said archivist Marta Crilly. Under that logic, Walsh would be the 48th. In an e-mail in November, Crilly explained that the tally that would make Walsh number 48 included acting mayors such as John E. Kerrigan, who served for nearly a year in 1945. The tally also counted each mayor only once, even if he left office and later won reelection to a nonconsecutive term. At one point, Boston mayors were barred from succeeding themselves. Some of the office’s most colorful characters — John F. “Honey Fitz” Fitzgerald and James M. Curley — served nonconsecutive terms. Curley, for example, served four nonconsecutive terms scattered over 40 years. Some would consider him Boston’s 41st, 43d, 45th, and 48th mayor. Walsh’s team subscribes to this logic. It based its number of 54 on Wikipedia, which counts mayors who served nonconsecutive terms more than once but does not count acting mayors. A third way would be to count acting mayors and mayors who served nonconsecutive terms. That brings the tally to 58.